Can't go wrong with original parts! 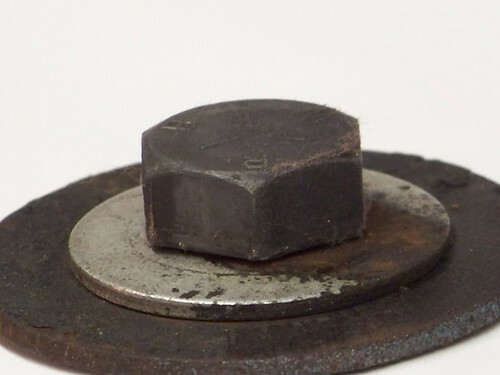 Processing Black Oxide or Zinc Phosphate is the easy part if you have the correct chemistry. Preparing the surface is KEY so be careful on how aggressive you are with original parts and surface finish. Take plenty of quality photo! Think we talked at a Carlisle event! Yes, agree original parts are great but members should know also that many of the same supplier hardware is available and if your screw, bolt or whatever is pitted it will look terrible. Many including me phosphate our own parts unless its size prohibited. Palmetto products are easy to use, and inexpensive. For anyone reading this thread and are interested there are many excellent threads that can be found using the search key discussing using the Palmetto products and subsequent processes. 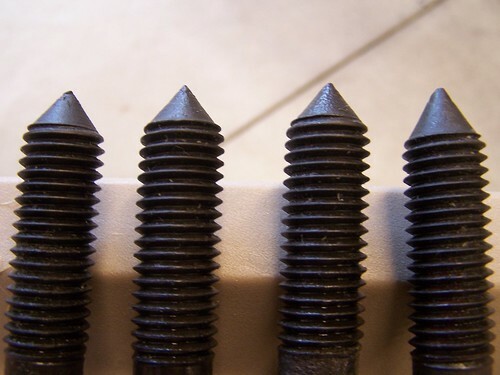 9780422 Screw-GM is used heavily. I found the 9780422 screw to be made up by three suppliers which are identified in the picture with individual pics of the head markings. AMK uses Anchor screws for 9780422 and that might be correct but I decided to use 9780422 screws with the three suppliers found on my car and others for restoration. AMK catalog index has reference for 9780422 if anyone needs to order. part number. Many of the same fasteners were used on 67's and 68's. 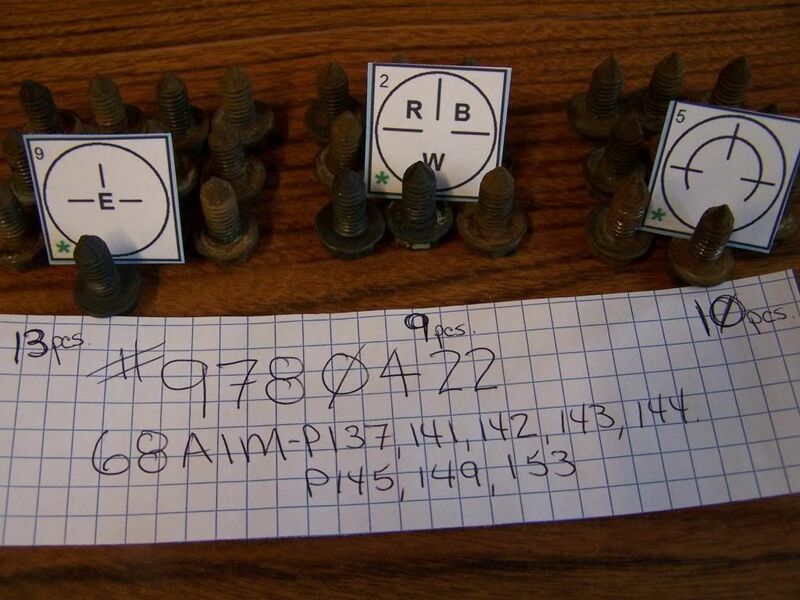 As Al mentioned many of these fasteners/screws/bolts/clips were used on all Gen I Camaro's. 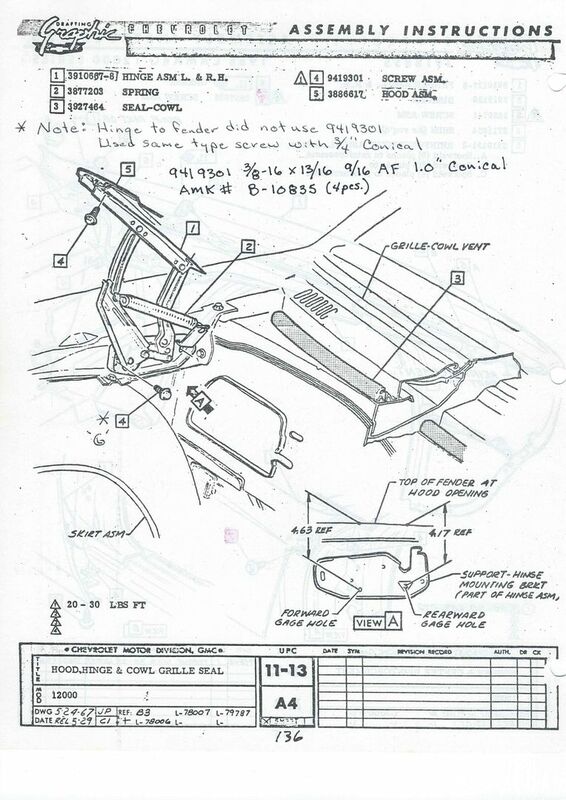 What I have listed was for our 68 Z/28 car but have some 69 AIM items listed as well. Recently updated Fastener Chart and wanted to share-Also placed in my build thread. 0447143- P39/91/162 (69 AIM UPC 1 A5) Hex screw 8-18X1/4 .34" O.D. AMK- B-11070 (20pcs) 0456766-P237 front spoiler #10-12X5/8 5/16 AF .4 O.D. Noted some originals had “D” in hex head. 9420151-P153 1/4-14X3/4 3/8AF .5 O.D. 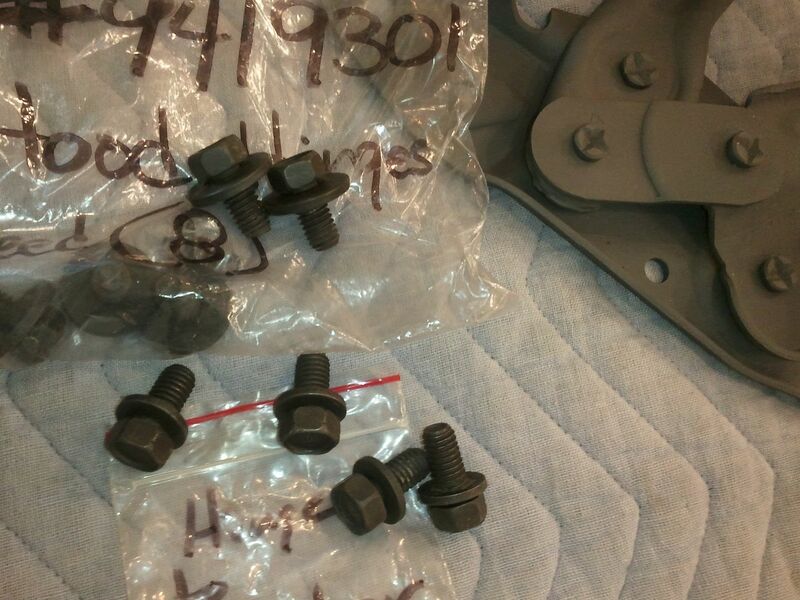 AMK B-12102 (Cool Phosp B-12103 (Cool Zinc 9420152 ¼-14X1/2 3/8 AF AMK N/A Obtained Corvette Central #192117 correct zinc “E” screws. Additional info last page. 9420152-409 Radio Ground strap (68 AIM page 409) from body to sub-frame utilizes screw 9420152 and it was zinc. The screw is a self-tapping, 1/4-20 x 1/2", with indented head. Our originals were 'E' and can be purchased @corvette Central #192117 (2 for $2). Paragon offers the same screw with "RBW" #11189K, 7 screws for $5.00. 1967/8 Corvettes used this screw for radio ground straps and the front crossover brake line clip. AMK does not offer this screw! Another area the AIM is incorrect on the hood hinge to fender screw. That screw assembly used a smaller diameter captured washer (conical diameter 3/4") as it gave more flexibility with adjustment compared to what is listed that had a 1" captured washer (conical diameter). 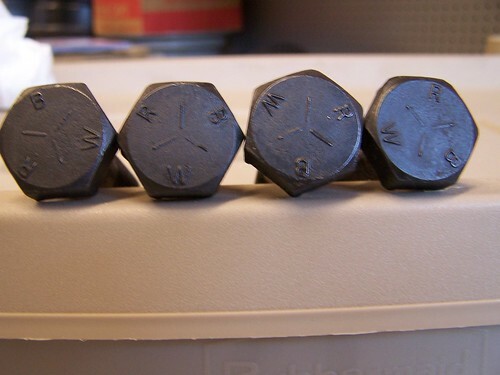 A picture showing the difference in washer diameter. Sub Frame to Lower Cowl Mounting... long screws with pointed end. Does anyone sell the correct versions of these screws? Sorry John for the way too long of a wait for an answer. The 4 long sub-frame bolts that attach the frame to body have that pointed end that can be viewed from the engine compartment when the hood is up so assume that is why your asking about that area "sub frame to lower cowl mounting." I'm not aware of anyone making a correct bolt for that application. GM seemed to have normally three suppliers of each screw or bolt but the only bolts I've observed for that sub-frame to body mounting have been RBW bolts with the aforementioned sharp pointed end. If you have a friend who works in a machine shop one could take a bolt and machine the angled point to the bolt end and then re-phosphate to have a correct look from up top. Note when mounting it's been observed the large washer is phosphate and the smaller washer zinc (see picture). Love to see that hardware restoration. Really love the thread. HUGE Help! and time saver. sorry for yelling......thanks for all the great info.